1 Tu June 26 pre-course work Introductions, syllabus, good/bad learning experiences, categories of features of good ones; settings learning goals (importance, content vs higher-level, two hypothetical courses). 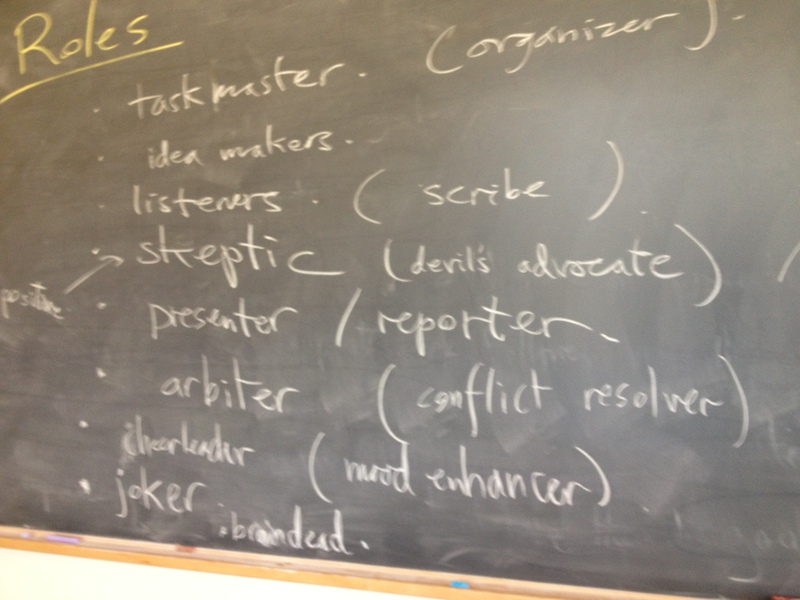 We 27 prepare 5-min talks, MC1 goals 5-minute presentations (feedback forms, videocamera); brainstorm benefits/problems with lecturing as a teaching technique, features of good lectures, brainstorm evaluation of one math camp goal. 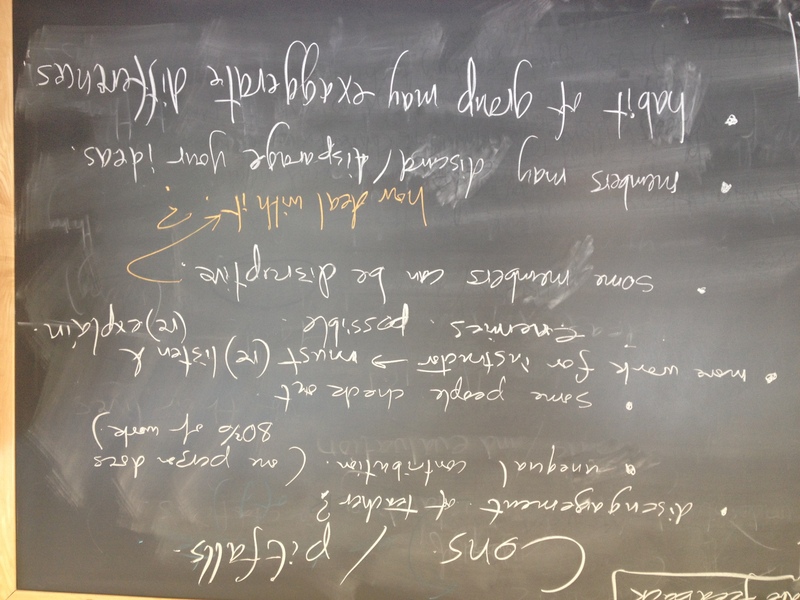 Fr 29 5-minute video response, MC1 topic discuss Duckworth book by chapter; group work: brainstorm on collaborative/cooperative learning. Tu 3 day-by-day goals, a lesson plan & 5 min pres 5-minute lesson presentations, awareness of blackboard technique; exercises on creating in-class participation, reflective part of learning cycle. 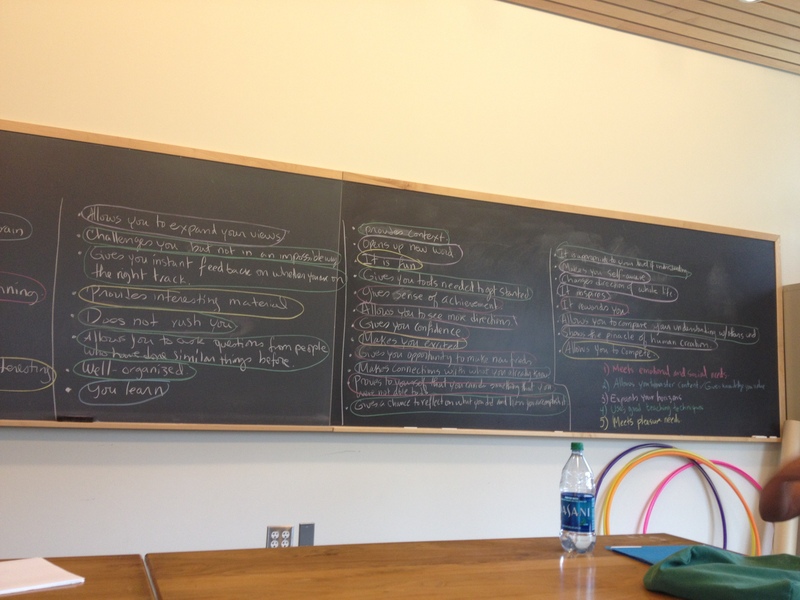 Th 5 readings on coop learning; refine MC goals Day-by-day MC1 goals discussion. Cooperative learning (jigsaw discuss readings from Rogers-Davidson-Reynolds). Fr 6 complete lesson plans, recap Skemp Finalize MC1; discuss Skemp book by chapter, draw a concept map for the concept of a function. Tu 17 board and voice work classroom assessment techniques, Pygmalion effect; body and voice warm-ups, exercise on being heard over rustling, 5-7 minute calculus lectures using good board and vocal work with anonymous feedback (in 007). We 18 writing readings, lesson plan Writing in mathematics, making clear lectures (see Hativa article below); Bloom's Taxonomy, creating structured exam questions, grading rubrics. 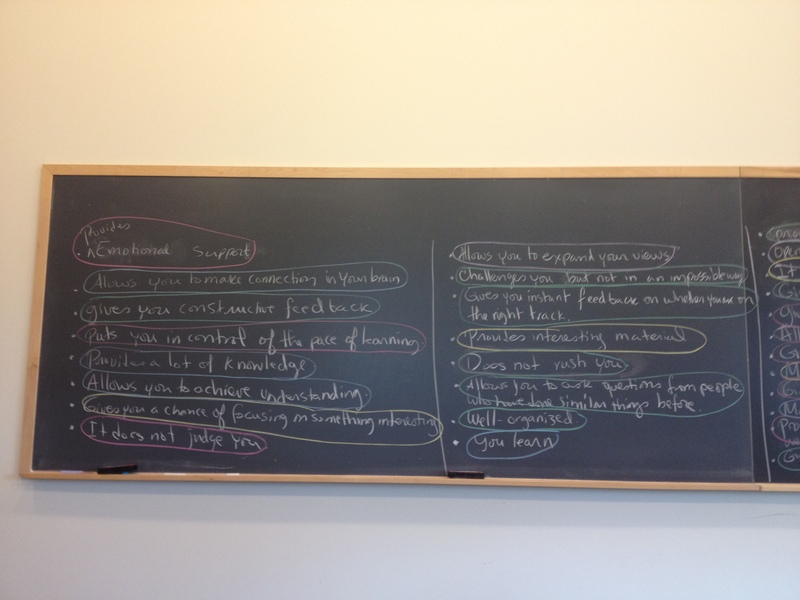 6 Mo 30 find good statements 1st half: teaching statements, teaching portfolio, basic HTML. 2nd half: visits by Carl Thum (Academic Skills Center: Math 1,2, athletics), Brian Reed (undergraduate deans office), Ward Newmeyer (disabilities office). Tu 31 do an IAT 1st half: DCAL presentation by Cindy Tobery (see below for her presentation). 2nd half: OPAL session with Rodrigo Ramirez and Jessica Jennrich. We Aug 1 own statement Teaching statements feedback, gender and race, unconscious bias, media representation of scientists (see exhibits below); 2nd half: Q&A with graduate student experienced instructors (bring questions). Th 2 make webpage, Krantz readings 1st half: Krantz readings on dress code (see articles below), math anxiety, harrassment in the workplace, cheating. Course evaluation. 2nd half: Q&A with faculty (bring questions). 7-8 (August 6-22) Guest lecturing: each student gives two videoed guest lectures for Dartmouth classes (this can also be in the Fall if not already an instructor oneself then). Observer will meet with you before (to discuss what to look out for) and after (to give feedback). Please upload homeworks and lesson plans to the m147x12 folder on DropBox. You will receive instructions by email about this. 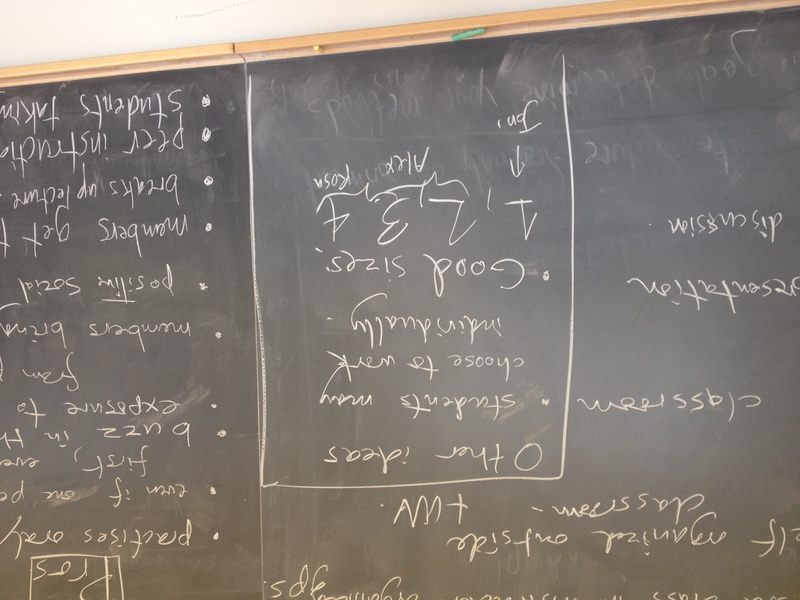 Characteristics of a good learning experience: left and right sides of board. 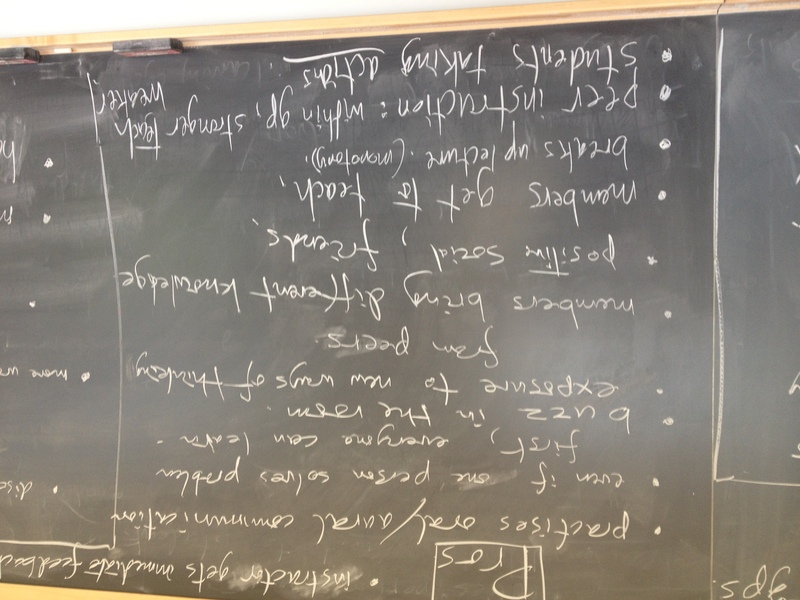 Some conclusions on group learning: pros, cons, roles, other ideas. Clarity in lesson plans: Hativa, N. (1983). What makes mathematics lessons easy to follow, understand, and remember. The College Mathematics Journal, 14, 398-406. Presentation from Cindy Tobery at DCAL: handout, and slides.